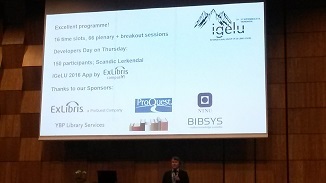 The Library and Research Sector attended the 11th International Group of ExLibris Users (Igelu) conference in Trondheim (Norway) from 5 to 8 September. The annual Igelu conferences cover a broad agenda of user experiences with library management systems and discovery solutions demonstrations. They constitute a particularly valuable forum for information exchange among the international user community. 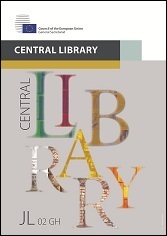 Among the different topics covered in this years’ edition, the conference discussed the latest trends in user experiences in libraries (UX Libs) and how innovation is an absolute need, also for libraries. The conference was hosted by BIBSYS and the University Library of the Norwegian University of Science and Technology (NTNU). NTNU is the largest of the eight universities in Norway, and has the main national responsibility for higher education in engineering and technology. In addition to engineering and the natural and physical sciences, the university offers advanced degrees in other academic disciplines ranging from the social sciences, the arts, medicine and health sciences, teacher education, architecture and fine art. NTNU has its main campus in Trondheim, and smaller ones in other northern Norwegian cities.